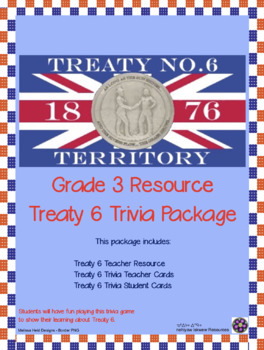 Students will play this game as a wrap up to learning about Treaty 6. This trivia game can be used for a variety of grade levels. 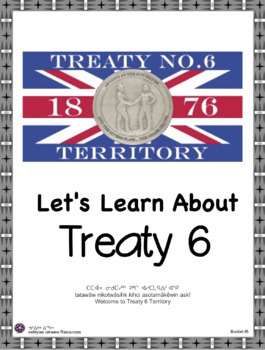 This Treaty 6 information applies to Alberta and Saskatchewan. 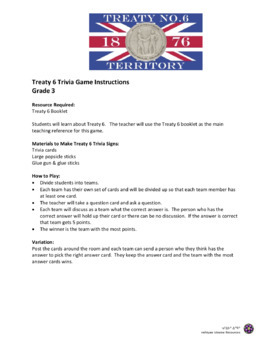 Included are blank Teacher Cards and blank Student Card so that the teacher is able to create other trivia game cards.